From the moment we take our first breath we are aging. Getting older is inevitable. The critical question is, “How will we age?” For some, the answer lies in good health. For others like me, the answer is rooted in disease. Disease is an abnormal cellular change caused by infection, stress, or inflammation that results in illness. Over time, science has been increasingly studying something called oxidative stress which has been widely recognized as a contributing factor in the aging process and disease. 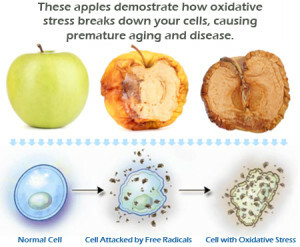 Simply put, oxidative stress is the metabolic process that in essence causes your cells to corrode when exposed to oxygen. Although you need oxygen to live, high concentrations of it are actually toxic to your molecules. Contributing factors include environment and diet. Although unproven, it is suspected that oxidative stress contributes to the neurodegeneration that is the trademark of multiple sclerosis, among other chronic diseases. To regulate this imbalance focus is placed upon the transcription factor called nuclear factor (erythroid-derived 2)-like 2, or Nrf2. Nrf2, according to Molecular Aspects of Medicine, is referred to as the “master regulator” of the antioxidant response; modulating the expression of hundreds of genes. This helps to control the immune and inflammatory responses to which oxidative stress is linked. A few of you may have seen the 2012 interview on ABC News Primetime by John Quinones in which he investigates and tries a supplement called Protandim. Protandim, discovered by Dr. McCord of University of Colorado, is a natural source of Nrf2 so it works without side effects or potential damage to your liver and bone marrow. Key ingredients of this dietary supplement include Ashwagandha root, Green Tea, Bacopa, Milk Thistle, and Turmeric extracts. These five botanicals work by signaling the DNA in your body to increase the production of its own natural antioxidant enzymes to combat oxidative stress and aging on the cellular level. It is NOT FDA regulated. Animal studies indicate that Protandim increases the glutathione 300% in cells which basically helps you prevent oxidative stress. Glutathione maintains intracellular health. It’s a small antioxidant molecule found in every cell that neutralizes free radicals which can build up in your cells and cause damage within a cell. Glutathione can neutralize free radicals thereby fight disease, especially those associated with aging. If you consume a diet high in fresh vegetables, fruit and meat, you probably get adequate glutathione. However, most people’s diets are poor so they don’t get enough. Tecfidera, a pharmaceutical or synthetic medication that is FDA-approved, historically was used to treat psoriasis and most recently is being used in the treatment of multiple sclerosis. 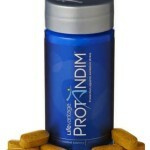 Like Protandim, it uses the Nrf2 pathway to create antioxidation. However, it also mutes the immune system in ways that have been linked to serious infections. As I interviewed Dr. Gene DeLucia, board member for and user of Protandim, he explained that Protandim was a natural Tecfidera and everyone with MS ought to consider taking it. He takes it himself as well as prescribes it to patients, family and friends. He claims to see results proven by functionality, feeling, and MRI. He has seen proof of fewer relapses and even disease reversal. Dr. DeLucia went on to say that discovering how to activate Nrf2 is the “biggest breakthrough” in Western medicine. It seems that one main reason more people haven’t gotten onboard with this is that 21st century medicine is trying to step away from pharmaceuticals while the current industry is driven by profit margins. As for me, I’m always a bit skeptical without proven research. To date, because Protandim is a nutraceutical and not a pharmaceutical, clinical trials have only been performed on animals. Only pharmaceuticals can be researched for a specific disease on humans. Has the Holy Grail of eternal youth been discovered in Nrf2? And if so, is it safer and/or better to take a nutraceutical (Protandim) non-FDA approved or a pharmaceutical (Tecfidera) that is FDA approved? Many people’s knee-jerk reaction is to immediately choose one or the other based on their own assumptions. Does that mean either option is correct? My plan is to bring this up in conversation with my neurologist (who is a pioneer in treating people with MS) and then have a follow up conversation with Dr. DeLucia to obtain further information. For now, in my opinion the jury is still out. One thing we do know for sure; decrease your oxidative stress (via antioxidants of some sort) and you will increase cellular function and health. Something happened the other day that caused me to take pause and reflect upon the last 9+ years since my MS diagnosis. The other day I received an email from one of my girlfriends. Since it seemed to be about a medical website I blew it off thinking it was something to do with her work. A day later I received another email so I read it more closely. It talked about her choosing Caring Bridge instead of another, less user-friendly platform. Knowing what Caring Bridge is, I gave her email my full attention although no details were present. Immediately I reached out to her to inquire about what was happening. To my shock, especially since we had all been together only 2 weeks ago and everything was fine, she stated she had been diagnosed with Multiple Myeloma and was beginning a 4-round series of oral chemo this week. If that is successful and she goes into remission, she will then have a stem cell transplant which will hopefully “buy her” 10-13 years. That’s not a very long life in my opinion. My heart was heavy as I thought about all her hopes and dreams that may not be given the opportunity to come to fruition. As is only natural, when I hung up the telephone my thoughts turned to memories of our recent family vacation which have been shadowed by my father’s life-threatening decline in health. And I’m reminded of a weekend 10 years ago spent with my mother in celebration of her 70th birthday – everyone, to my recollection, was healthy then. Wandering around my house that afternoon, I reflected on all of my family photographs and what life was like at the time they were taken. So much has happened over the years. Lots of change; some good, some not so good. Even when days seem to drag on, the years seemingly fly by faster and faster as I age. I’m told this is common which is personally poignant because lately I find it challenging to make the most of every minute, not wasting precious moments. To lift my father’s spirits, I created a collage of family photographs. It reveals celebrations, parties, jokes, and all the fun we have together. Hidden behind the photographs is the sadness of the people we’ve lost in addition to the pain, anguish, illness, surgeries, diagnoses, etc. that we’ve all experienced. Sometimes the older we get, the more daunting the future becomes. This summer my MS has been somewhat of a nuisance; causing vestibular issues that are interfering with my daily life. Although I am not overly concerned with the immediacy of this issue, it does bring to mind the question, “How well will I be in another 10 years?” People with certain illnesses that are not chronic usually either experience remission, are healed, or pass away. It’s a bit more finite. My friend with multiple myeloma and other people like me with chronic diseases learn to live with their illnesses; making friends with the proverbial elephant in the room who never leaves. Regardless, everyone’s got something and life goes on until it doesn’t. As I anticipate the next decade of my life I am filled with joy, excitement, and a touch of sadness and trepidation. There is so much potential and I am eager to see what happens. As my friends and I move toward and through the age of retirement and are exposed to greater loss and illness amongst our families and friends, I hope the most interesting years are still ahead of me. As I’m sliding down the hill of life I will no longer stand in the shadow of those before me; I am now coming into my own with increased confidence and am hopeful that I will remain well. My vision does leave the door ajar for the limitations of MS and aging although I’m hopeful those will be limited at best. 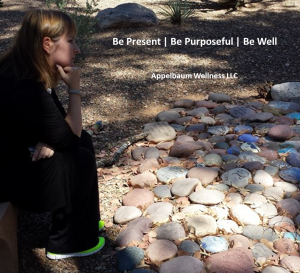 I guess that my reflection needs to include practicing what I preach; my ‘go to’ mantra of, “overcome adversity and recognize the gift.” Challenges force me to dig deep inside and discover how strong I really am. Over the years I’ve always landed on my feet regardless of the obstacle, and believe me, there have been many. I realize all of these are stepping stones to having become the person I am today and will become tomorrow. I’m always changing or evolving and that’s a good thing. Life definitely is a journey filled with lots of potholes as well as smooth pathways. Here’s hoping that my navigation skills continue to improve and that I don’t fall into too many potholes during my next 10 years.